The technical portions of this story are undoubtedly captivating with twists and turns including rumored development of this plague by the NSA (and subsequently being leaked by a faceless group called the 'Shadow Brokers'), the next phase of weaponized malware hatching and a whole host of other movie-ready flotsam and jetsam. But what happened in the background, out of sight? What were companies, both infected and uninfected, doing during all of this mayhem and fear? How were Boards mobilized? And what is this attack's legacy as it applies to leadership? 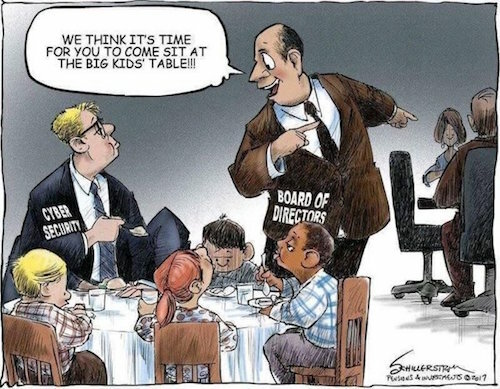 More and more time is being dedicated in the boardroom to the topic of cybersecurity. To some, this is detracting from the equally-important topics of strategy and governance. Increasing budgets are being allocated to cybersecurity in an effort to mitigate risk. These budgets are sometimes 'clawed-back' from other initiatives and can have an affect on Board unity. Notification and Escalation Policies Enacted (and revamped or created): Documented processes and assurances that when serious issues or allegations that could impact the finances or reputation of the organization arise, Board members will be notified in a timely manner. WannaCry not only forced notification, but also enacted rare instances of crisis management for infected as well as uninfected organizations. Some infected organizations had no choice but to delegate point to lower-level employees due to lack of cyber expertise and experience at the Board and C-level. This type of fragmented approach has the potential to undermine response strategy and fracture response alignment - think increased budgets, increased time, lowered reputation, etc. There is no doubt that the latest scourge of cyber attack sophistication will have an effect on response playbooks. The sheer size and scale of WannaCry has woken up many organizations and their Boards to the next level of attacks. Post-WannaCry, I've witnessed a slew of corporations issue mandates, somewhat mimicking an official audit, to their technology groups demanding assessments of policies, systems and procedures on their infrastructure in an effort to get further insight into what is commonly a 'check-the-box' risk assessment exercise. Legacy systems, which are prevalent in most established organizations, add a higher level of complexity to this exercise, especially since they typically fall into the unsupported realm. This undoubtedly could give an advantage to newer, less-established companies due to their lack of legacy systems, but when ransomware the size of WannaCry is unleashed, it has the potential to upend any company's operations, new or old, small or large - and many times requires the experience of outside experts. “We have experienced a large increase in organizations requesting cybersecurity guidance, planning and support following May’s WannaCry outbreak in their efforts to combat increasingly sophisticated malware risks,” stated Ondrej Krehel, CEO of LIFARS, a global digital forensics and cybersecurity intelligence firm headquartered in New York. “Cybersecurity efforts will definitely be a growing area of focus for many companies due to the increasing risks of ignoring potentially low probability, high-impact data breach instances." WannaCry's 'legacy' is far from a true legacy. A legacy assumes that something is over, completed, done. Don't be fooled. This is not the case. WannaCry is more of a 'precursor' than a legacy. It has once again fortified the need for adaptability and a change in leadership approach being applied to combat it. 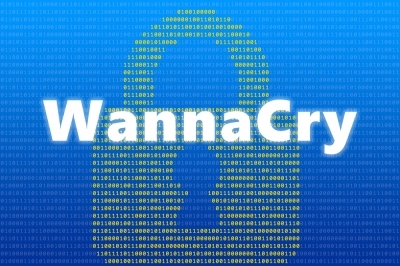 WannaCry should be considered an 'early adopter' in an upcoming long chain of more sophisticated attacks... and leadership as well as Boards need to be prepared - so they don't WannaCry. What will you consider when creating your Board's cybersecurity strategy? Reach out for help creating a solid Board cybersecurity strategy.